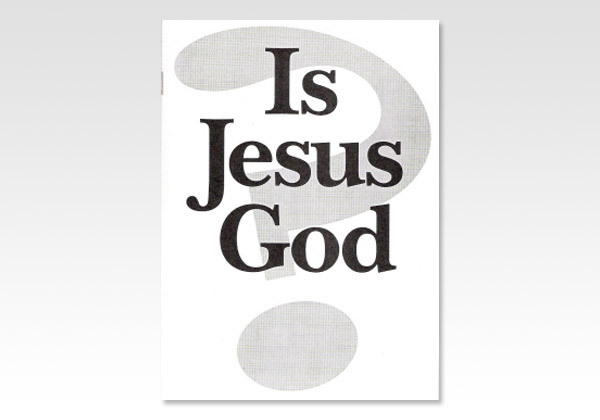 Believers Bookshelf - Is Jesus God? This pamphlet takes a glimpse at the Person of Jesus Christ as revealed in the Word of God. While addressing what the Bible declares regarding His Divinity and humanity, the author confesses: How could such contradictory attributes be reconciled by the finite mind of man  or by the mind of any creature  whoever he may be? No man knoweth the Son, but the Father' (Matthew 11:27). Though the reference to this text may be ridiculed as but a refuge for an unreasonable dogma, it is nevertheless the teaching of Scripture, and the only conclusion that a reasonable mind can come to regarding such a Person.